May 5, 1992. That was a date that forever changed the landscape of PC gaming. 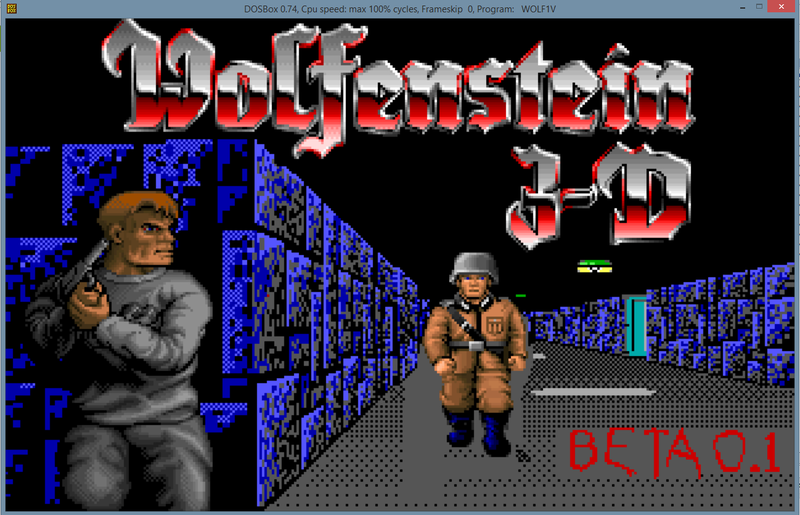 That was the day that id/Apogee released Wolfenstein 3D v1.0 - a full quarter century ago. In 2017, not many people need a history lesson on Wolf3D, but it was the 3D shooter that redefined what was possible on PC tech 25 years ago. The public had seen nothing like it, and it took the industry by storm when released. If you are reading this story, you know the history of Wolfenstein 3D. Authored by id, published through 3D Realms when they were going by the name "Apogee Software", Wolf3D was responsible for a great number of people and companies doing what they do. The influence of this title goes way beyond what the mere pixels on the screen. 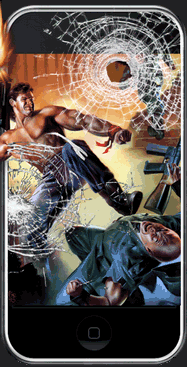 The game’s technology was licensed out to other companies (including our own), and was used in game titles such as Blake Stone: Aliens of Gold, Blake Stone: Planet Strike, Corridor 7, Operation: Body Count, and Rise of the Triad (1995). Since the original release, the game has been ported to a ton of various consoles and systems. The list includes the Super Nintendo, Atari Jaguar, Macintosh, 3DO, Acorn Archimedes (huh? ), Gameboy Advanced, and even the venerable Apple IIgs. Additional ports later appeared on iOS & Xbox 360. Most of the older ports have long since been out of print, the links above mostly go to Amazon.com where you can try and get a used copy if you're interested. There were other games besides just ports, too. Going way WAY back, you have the original "Castle Wolfenstein", and it's sequel, "Beyond Castle Wolfenstein". These were games that originally appeared on the Apple ][ (and later elsewhere). 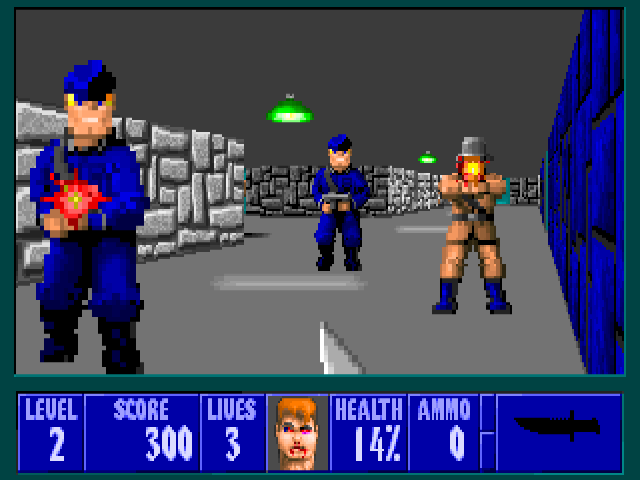 The original game was the major inspiration for Wolfenstein 3D (which is frequently called Castle Wolf3D, which it is NOT the name of the game). Appearing after Wolf3D was a true sequel game, called 'Spear of Destiny" (which had it's own addon packs too). There was also "Wolfenstein RPG", a game for cellphones from id. That wasn't the end of it, as there was "Return to Castle Wolfenstein" (PC, 2001) that was a series reboot. This was ported to Xbox as "Tides of War" and PS2 as "Operation: Resurrection", and there was a multi-player standalone add-on pack called "Wolfenstein: Enemy Territory" (2003). Carrying on from there was a sort of sequel simply called "Wolfenstein" (2009) and then additional newer games/sequels that were quite excellent called "Wolfenstein: The New Order" (2014), and most recently "Wolfenstein: The Old Blood" (2015). As we were heavily involved in the original all those years ago, we have several things we have which we're bringing to you to check out. The first is something called the "Wolfenstein 3D Super Upgrades". The Wolf Super Upgrades was an addon pack for Wolfenstein 3D that we sold during 1994 and 1995. It comprised several addons for the game, including a map editor, multiple hundreds of maps, a random level generator, and some other related items. We originally released this as freeware on May 22, 2006, but we have something new to add here. Today we are releasing a document which we sent to our registered customers back in late 1994 about the Upgrades. In this pdf (which you can download here), you can see the sales letter we sent out, the original order forms, as well as a letter sent to people who bought the game. If you have the old DOS Wolfenstein 3D, check out the Upgrades pack (a zip download), there's a lot of cool stuff there, and it's free! A quick technical note about the PDF download - it tends to not display right (or at all) viewed in a web browser. You should download it and then look at it. Finally, we have a document which was our internal sell sheet for the game back in early 1992. If you want view that, click here. The sell sheet refers to two "trilogies" - this version of the game was long since discontinued, and sold as the more well known "six episode" version of Wolfenstein 3D. A bit of trivia, episodes 4-6 had their own name, "Wolfenstein 3D: The Nocturnal Missions". Speaking of trivia, check out this article written by our own company historian Joe Siegler on the history of the phrase "Call Apogee and say Aardwolf". Lots of fiddly trivia bits in that article. One last little fun tidbit. For the 20th Anniversary of Wolfenstein 3D, id Software made the original, three episode registered version of the game available for free to play in your web browser. This is still online, head over to the id Software website to check it out!